Knob Creek is a fantastic bourbon whiskey to mix into specialty cocktails. The Knob Creek Old-Fashioned is a very simple drink that enhances the bold elements of this flavorful, robust whiskey. This variation on the classic Old-Fashioned is beyond easy and there is no need to own a muddler to make it. If that essential tool (which you should have) has barred you from enjoying an old-fashioned-like drink, then this recipe is the answer for you. In reality, the Old-Fashioned has always been little more than a fancy way to serve bourbon on the rocks and in that respect this recipe is spot on. Though traditionalists will miss the process and flavor added by muddling oranges, the sweet and bitter enhancements are still here. Stir the Knob Creek, simple syrup, and bitters in a mixing glass filled with ice. 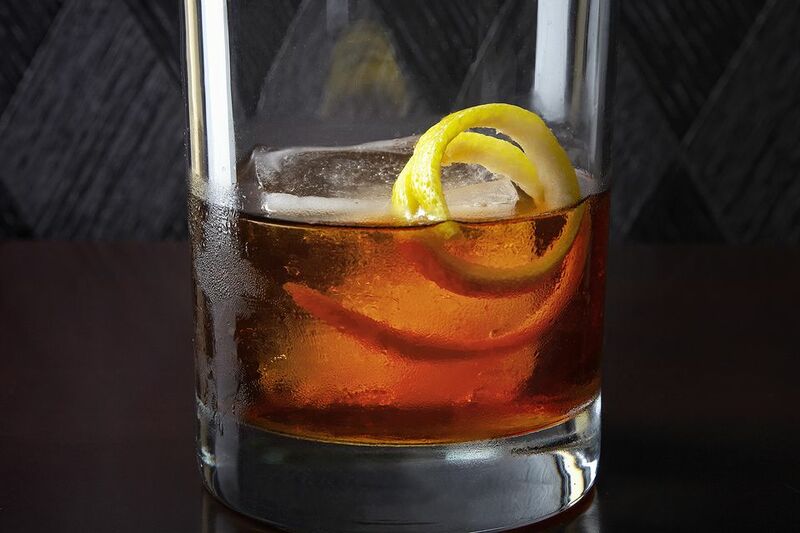 Strain into an old-fashioned glass over a large ice cube. Ice is essential to add to the shaker while stirring this drink. This will dilute the drink just a little bit more and release the bourbon's finer aromas and flavors. Remember, that Knob Creek was bottled at a proof that was meant to be cut with water, so you will be doing the whiskey justice. A rich simple syrup is recommended here and that is a syrup that is made with 2 parts sugar to 1 part water. If you have a 1:1 syrup available, add just a little bit more than recommended above to have a nice balance of sweetness. The large ice cube is key to serving this drink. It will keep the drink cold for longer than it should take to drink and less water will dilute the whiskey, keeping it flavorful throughout. How Strong Is the Knob Creek Old-Fashioned? Knob Creek is a strong bourbon whiskey and, at 100 proof, it is stronger than many whiskeys. This Old-fashioned recipe adds very little to it so the finished drink remains pretty strong at around 33 percent ABV (66 proof). It is just slightly weaker than a straight shot of 80 proof whiskey.